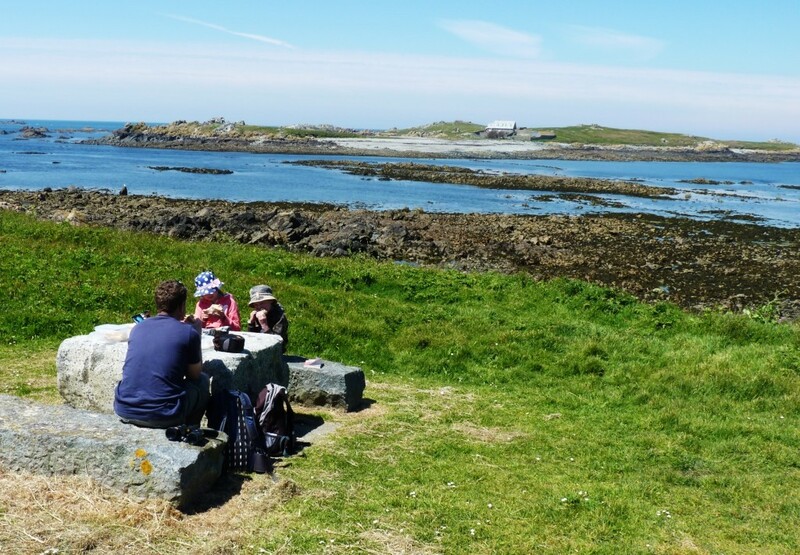 Guernsey is great for family walks and picnics. The terrain is relatively gentle and you can vary walks along the coastline with those inland along green lanes. 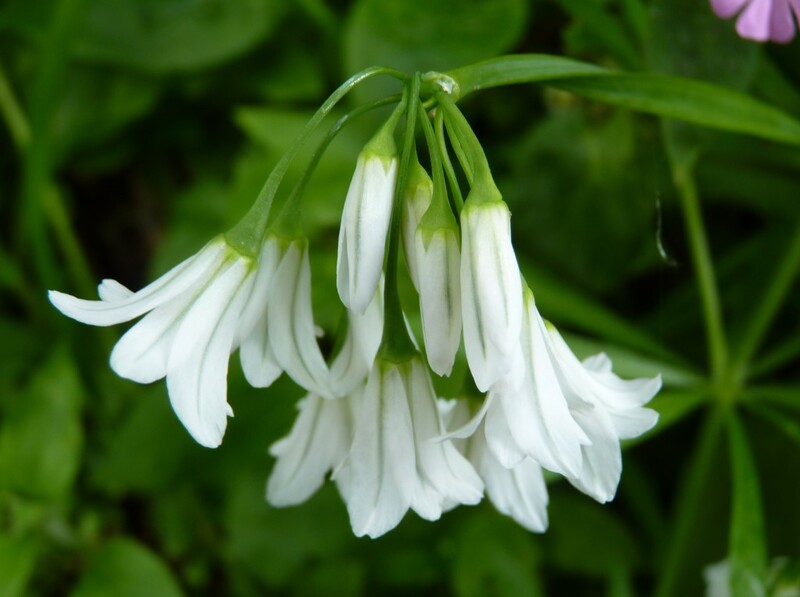 Visit in early summer and you’ll be treated to fabulous wildflower displays. 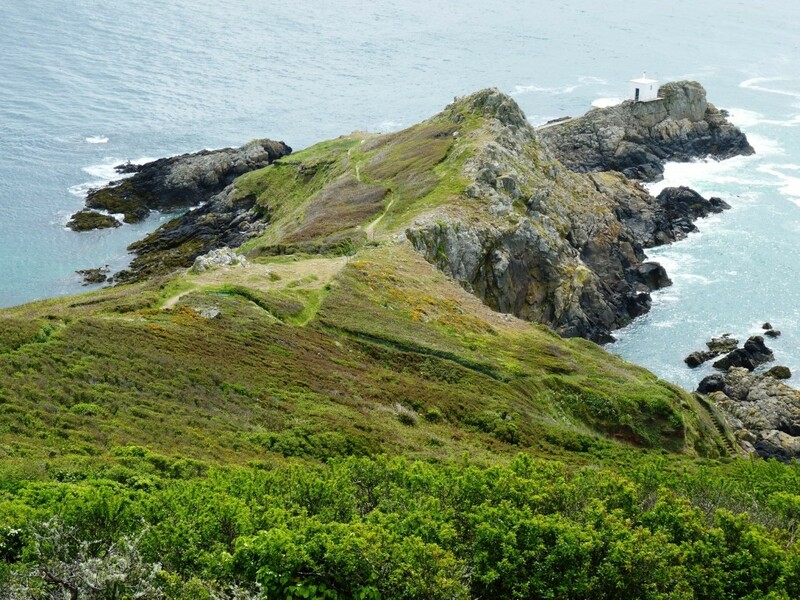 The walks below were enjoyed by our family, with the aid of a Perry’s map of Guernsey and lots of cake. Getting to this island is half the adventure! 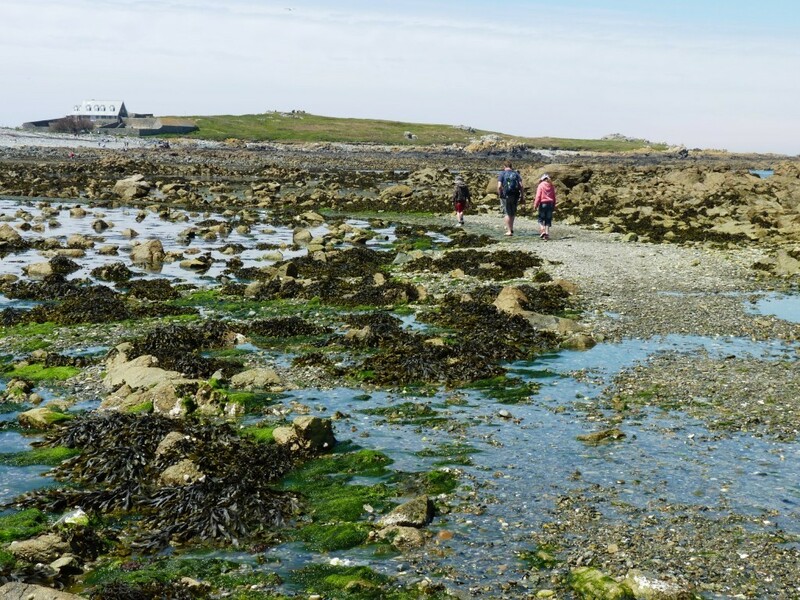 Lihou island, off the west coast of Guernsey, is accessed by a causeway at low tide. You’ll need to time your visit carefully and check the causeway opening times beforehand. As low tide approaches groups of people gather ready to make the crossing. Rock pools are revealed either side of the walkway, and the first walkers tentatively make their way over. Some parts of the track remain wet and covered with seaweed so sensible footwear is a must. The island is pretty small, and takes no more than an hour to walk around. Although there is a house on the island (which is available to rent) there are no toilet or other facilities for visitors. Lihou is an important nature site and during nesting season you must respect the fenced off areas. If you’re lucky you’ll see lots of gulls with fluffy chicks, but be aware they’re protective parents. We saw a couple of people being dive bombed by the birds! 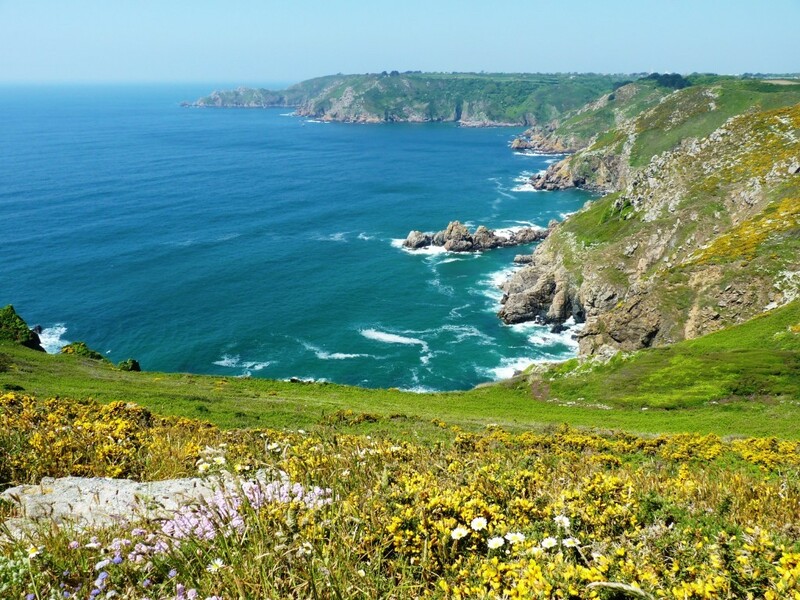 Probably my favourite walk of the week, this route has fantastic coastal views and colourful cliffside flowers. It’s a straightforward trail but there are a few ups and downs along the way. We parked at Icart point, where we started the day with a drink at the cafe, before following the cliff path right towards Petit Bot. It’s possible to climb down the beach ladder at Le Jaonnet Bay (low tide only) but we bypassed this and continued straight on to Petit Bot. There are toilet facilities and another cafe at Petit Bot. After basking in the sun for a while on the pebbly beach, we walked back to Icart Point along the same path. You can concoct an alternative route along inland paths if you wish, but we had no great desire to leave the coast. Allow for 2 hours walking, plus cafe and beach stops. Whilst the most spectacular walks are along the coast, this inland walk around St Saviour’s reservoir is a gentle alternative and a relaxing way to spend an hour or so. The 2 mile route, known as the Millenium Walk, follows the edge of the reservoir for most of the way, with a short quiet road section towards the end. You can pick up a leaflet with a map and points of interest from the Tourist Office in St Peter Port. This is another cliff walk with great views of the coast and neighbouring islands. Park in the car park next to Hotel Jerbourg and take the track down from the eastern corner. Follow this all the way to Fermain Bay, ignoring the paths leading off the main route. There are a couple of diversions off, but continue following the signs to Fermain. It takes about 45 minutes to walk to Fermain Bay. We coincided our walk with the arrival of a huge cruise ship to Guernsey, which the kids enjoyed watching. There’s a great viewpoint not long before you reach the bay, with seats if you’re in need of a rest. We ate lunch in the cafe overlooking the beach. It was a great spot but we didn’t linger as bad weather was heading our way. We returned via a much quicker inland path back (for which you’ll need a map) or you can retrace your route. This is a short walk, with the advantage that it’s on tarmac so is also suitable for kids on scooters or bikes. It takes you out to the Fairy Ring, a sunken ring in the ground with a raised central area. The kids can sit in here and pretend they’re eating lunch with fairies. There’s an information board next to the Fairy Ring with the actual history, but if your kids are similar to ours they’ll probably prefer their own made up stories. 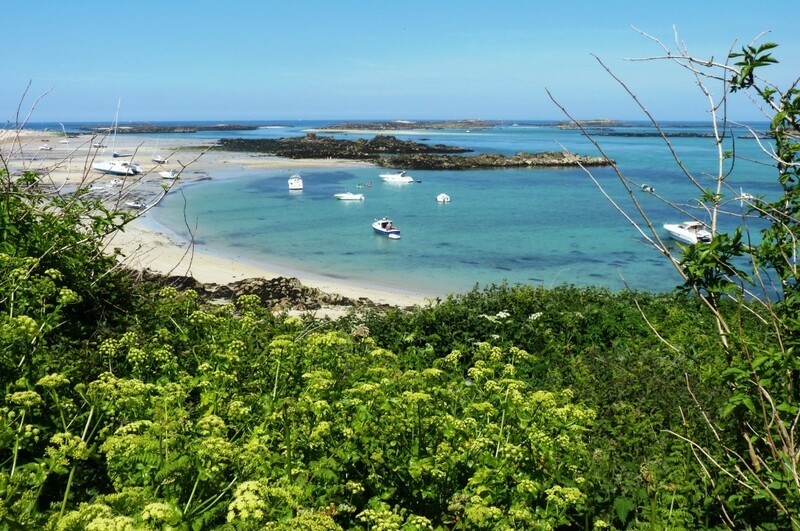 If you enjoy walking on Guernsey you’ll probably love Herm Island. 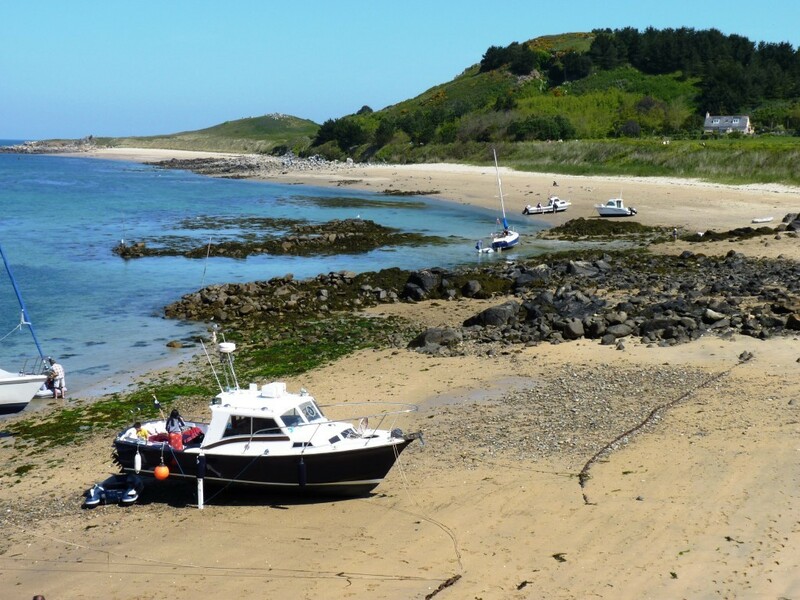 Read more about our day trip to Herm. Small islands have always held an attraction for me. Perhaps it’s because we live as far inland as possible on this island of ours that we often choose to holiday on an island. And if there happens to be another island nearby that’s even better! 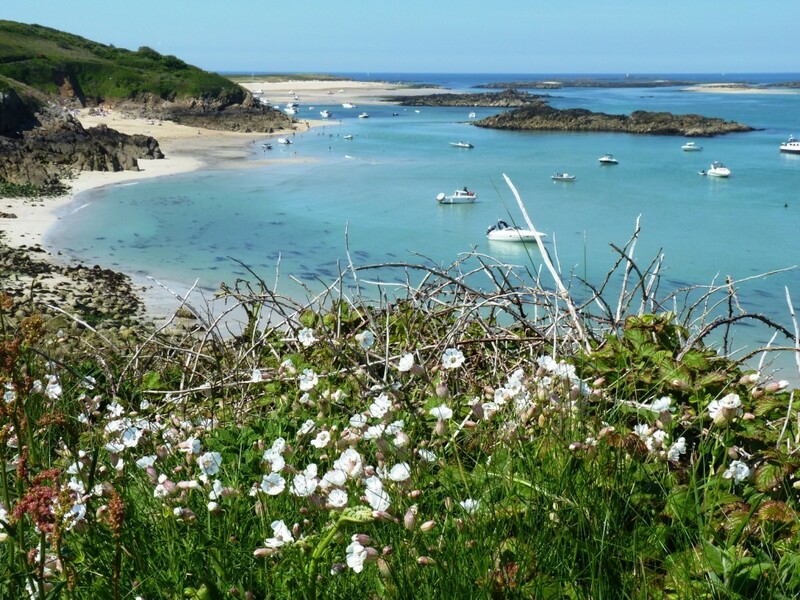 So it’s probably not surprising that on our recent trip to Guernsey we spent a day on Herm, the smallest of the Channel Islands open to the public. 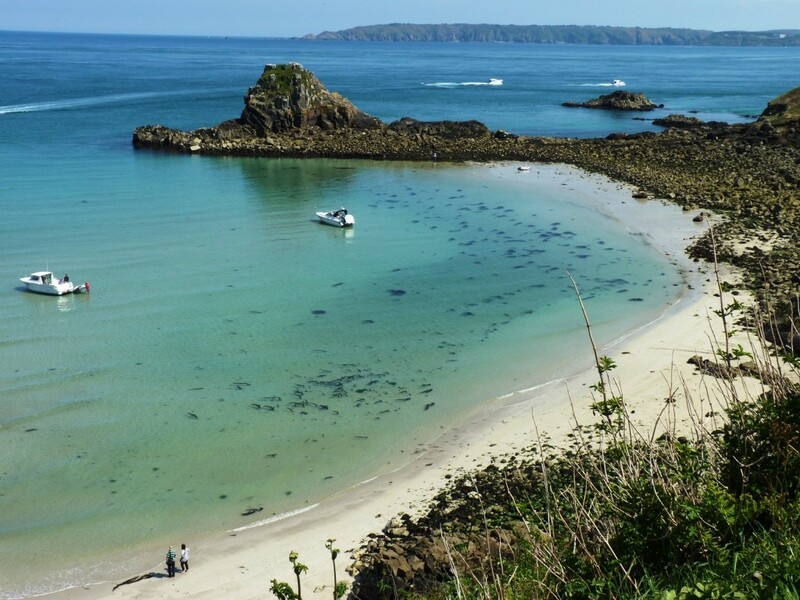 Herm island is 3 miles from Guernsey, and reached by a 20 minute crossing on the Trident ferry from St Peter Port. As soon as you step off the ferry it feels like you’ve been transported to a different era. Most noticeably, cars and bicycles are not allowed on the island, although there is a tractor luggage service for those staying the night. Upon arrival we only just managed to make it past the gift shop, as the kids discovered that it hid a large toy selection with lots of options to spend pocket money on. After dragging them out, with the promise of a return visit, we headed off along one of the signposted trails. Our first destination was Shell Beach on the north coast of the island. As you may guess, it takes it’s name from shells, which are washed up by the Gulf Stream. Don’t get too excited though, as these are generally fragments of crushed shells rather than large tropical conches! This beach often appears in lists of ‘top beaches to visit’ and it didn’t disappoint. It was stunning; with white sand, turquoise waters and a rather cold sea breeze – so we ate our picnic hidden in the shelter of the sand dunes. After lunch the kids spotted kayaks for hire, and persuaded dad to take them out, in turn, on a double kayak. Neither had been kayaking before, but the sea was calm (albeit freezing) and there were plenty of islets to explore and yachts to look at. They both agreed it was the highlight of their entire holiday. Being a non swimmer, I took advantage of the small beach cafe whilst the kids were kayaking. I couldn’t stop taking photos of the beaches…. Further along the coast is another popular beach, Belvoir Bay, which is smaller but in a sheltered position. We bypassed this on the cliff path as we wanted to walk around the island but it looked just as inviting as Shell Beach. 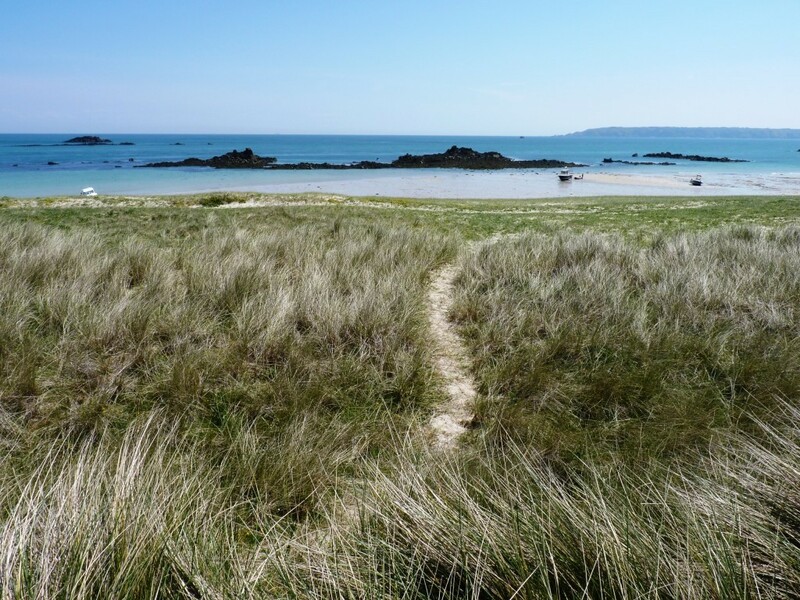 Herm island is only 1 1/2 miles long, and 1/2 mile wide, and in theory takes about 2 hours to walk around. However, I defy anyone not to get waylaid at one of the beaches! At the aptly named Puffin Bay we were lucky enough to see 5 puffins bobbing in the sea. Take binoculars as they’re tricky to spot, although once you’ve found them they’re easy to identify. All too soon it was late afternoon and time for the ferry back to Guernsey. After another visit to the gift shop, we boarded the ferry, and waved our goodbyes. 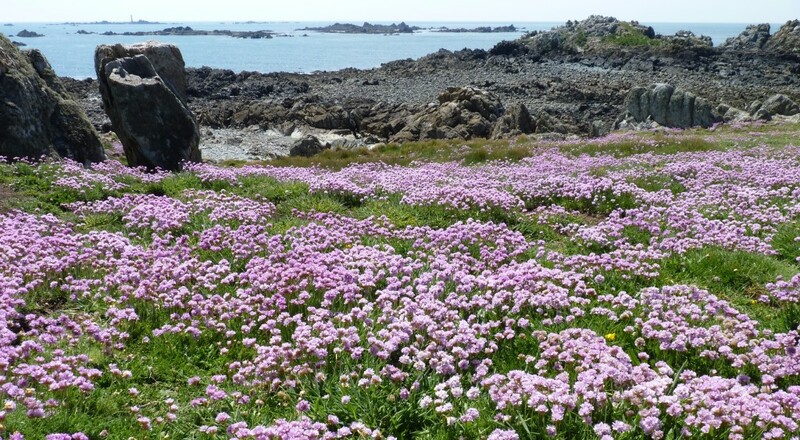 If you’ve enjoyed reading about our day trip to Herm you might also like to read more about our family walks in Guernsey and the beautiful wildflowers which adorn the island in early summer. 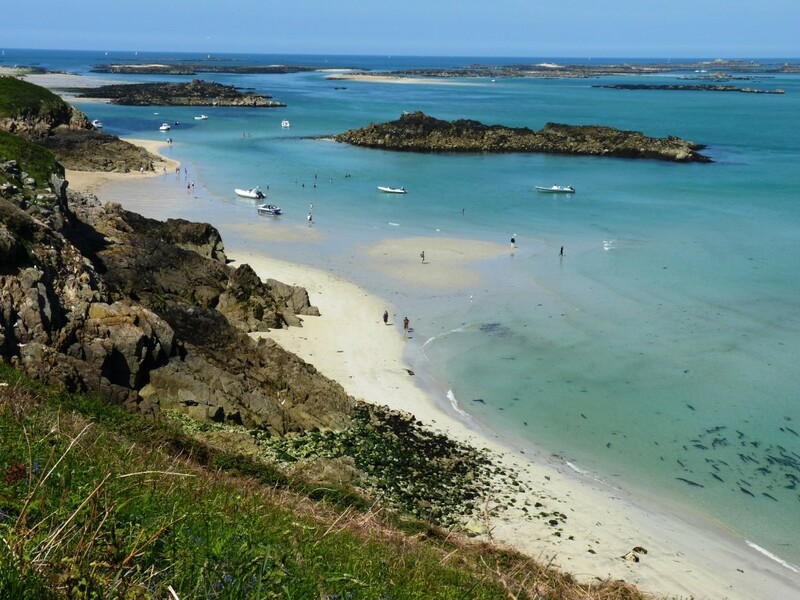 The boat to Herm runs 5 or 6 times per day during the April-October season. Check where the return journey is from, as it picks up at a different spot at low tide. Try to visit on a sunny day. It would be a very different experience on a wet or windy day. 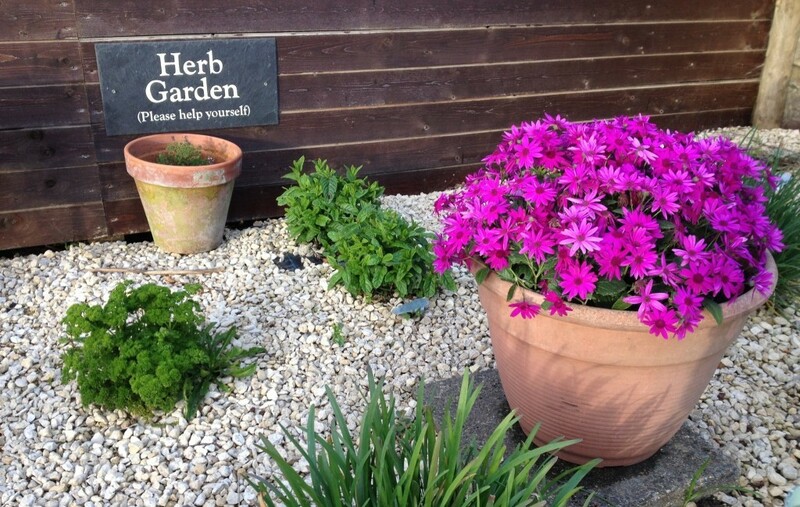 You can stay overnight on Herm island. There is a hotel, self-catering cottages and a campsite. The return ferry from Guernsey to Herm costs £11.50 for adults, £5.50 for children and £1 for infants. There are slightly cheaper fares if you visit on the first ferry of the day. Kayak rental on Shell Beach costs £10 per hour for a single or £15 per hour for a double seater. Fauxquets Valley is located in a rural area in central Guernsey. 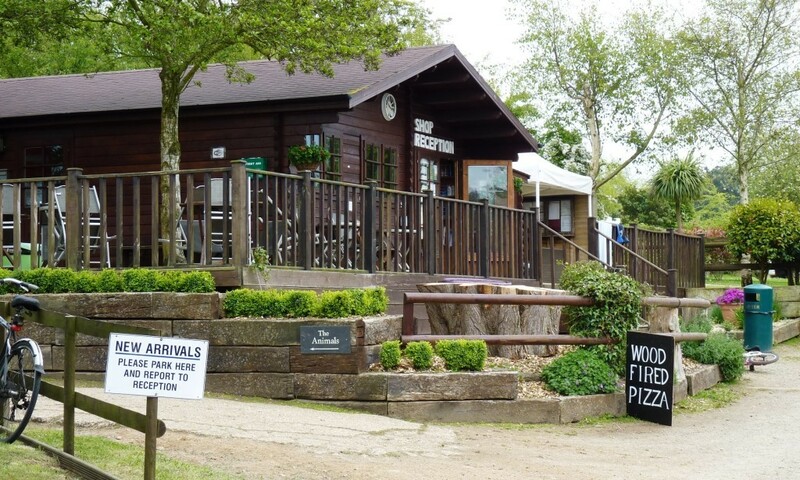 It offers pitches for tents and camper vans, fully equipped tents and a couple of log cabins to rent. There are a variety of camping areas, with separate areas for large tents or outback camping for those who don’t need an electric hook up. Despite it being the May Bank Holiday weekend the site was pretty quiet and we were able to choose our own pitch on arrival. We had mixed weather during our stay, with heavy rain on two nights, but the terraced pitch drained well. Roland and Teresa, the owners, were friendly and welcoming. They were permanantly busy but happy to chat and provide recommendations for walks and places to eat. Roland has mapped out some walks in the locality, and can point out a short walk in the valley which is perfect for an evening stroll. A group of 50+ French children arrived on a school trip a couple of days into our stay. Fortunately they used tents in a separate field and had their own group toilets and showers so we weren’t disturbed. Although they did commandeer the sockets in the ironing room for their phone chargers – and a coffee machine! The toilets and showers were kept clean. I’m not sure how they’d cope at the height of the season as there were only three showers for ladies, three for men and a disabled shower but we had no problems during our stay. 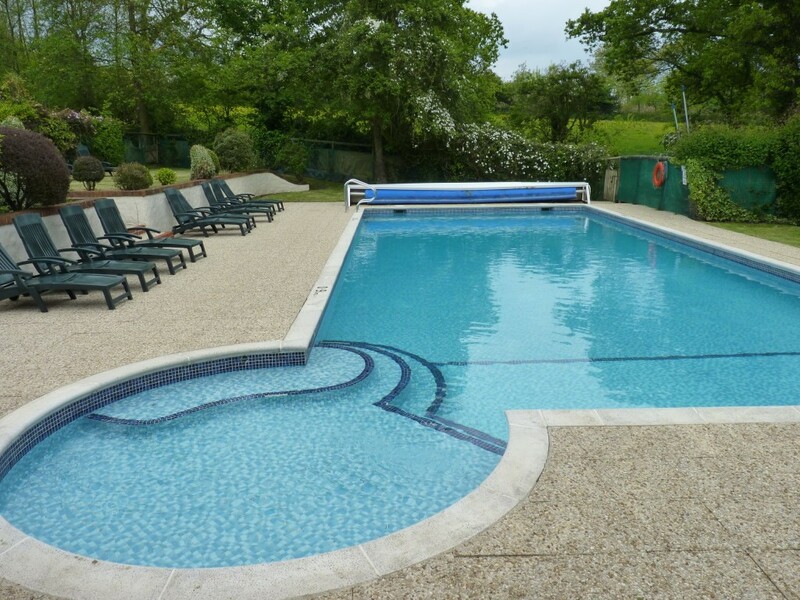 There is a playground for young children, a large field for ball games, an outdoor swimming pool, a TV room and a games room. We didn’t brave the pool as it was a cool week but we did hear shouts and splashes from more hardy souls. The TV room was very small but to be fair, you don’t generally come camping to sit and watch the box! The shop offers the usual camping and food basics, as well as newspapers, postcards, hot drinks and pre-ordered bakery goods. It was open in the morning and late afternoon during our stay but all day during high season. There’s a small sunny terrace outside, with free wifi, and a covered seating area with conservatory style furniture. A wood fired pizza van operates a couple of times a week. We enjoyed an excellent goats cheese and red onion pizza (£6) with our Greek pasta salad one night. 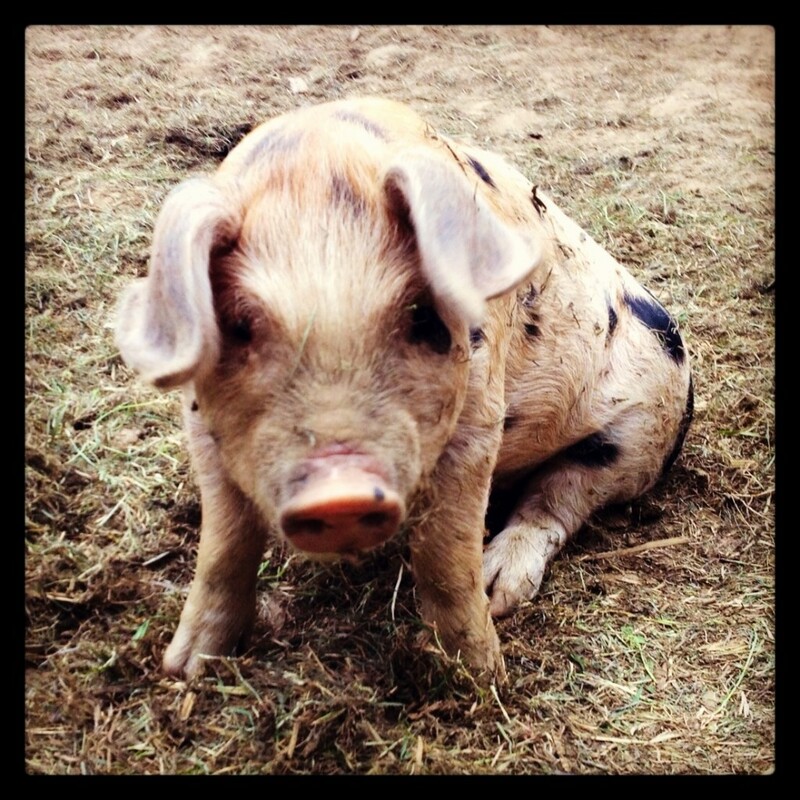 The best part of the campsite though was the small area of farm animals – piglets, lambs, chickens etc. The piglets were very cute and the source of the sausages and other pork products on sale in the shop! 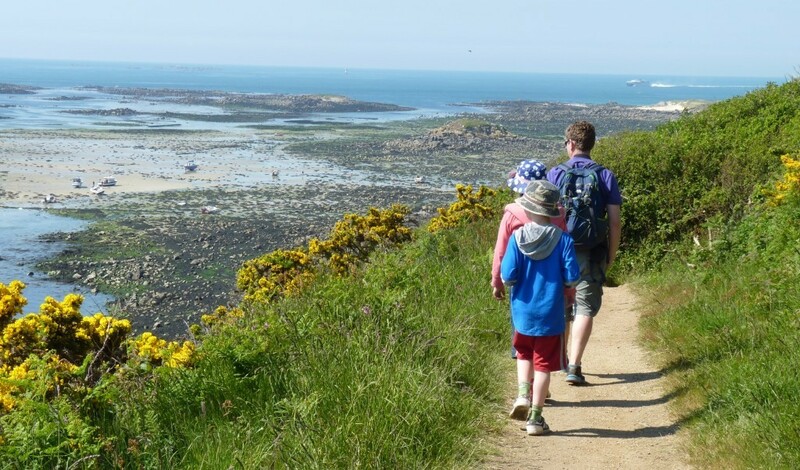 We completed a variety of family walks in Guernsey and we also popped over the beautiful island of Herm for a day trip. Highly recommended if you get the chance! Opening dates and further details can be found on the Fauxquets Valley campsite page. 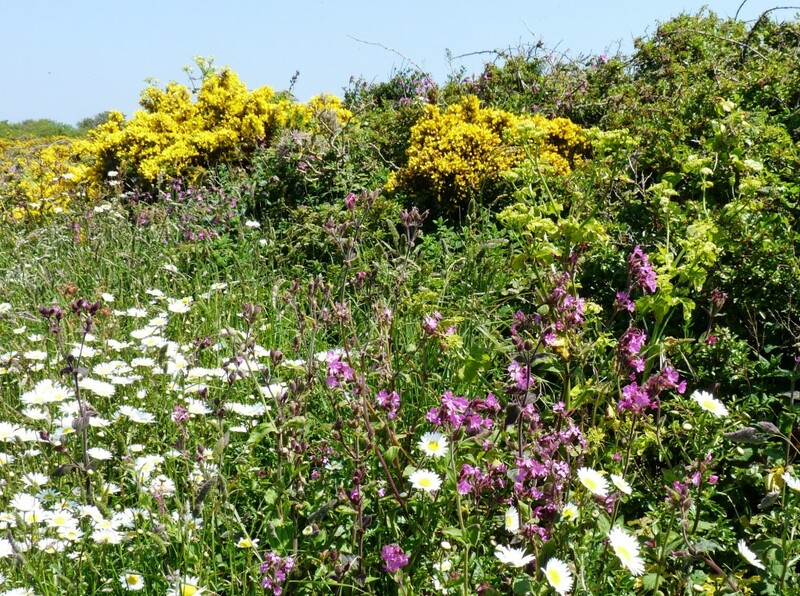 One of my lasting memories of our trip to Guernsey are the wild flowers along the verges and adorning the cliff paths. Whilst the bluebells were just going over the colours of the later spring flowers brightened our walks. 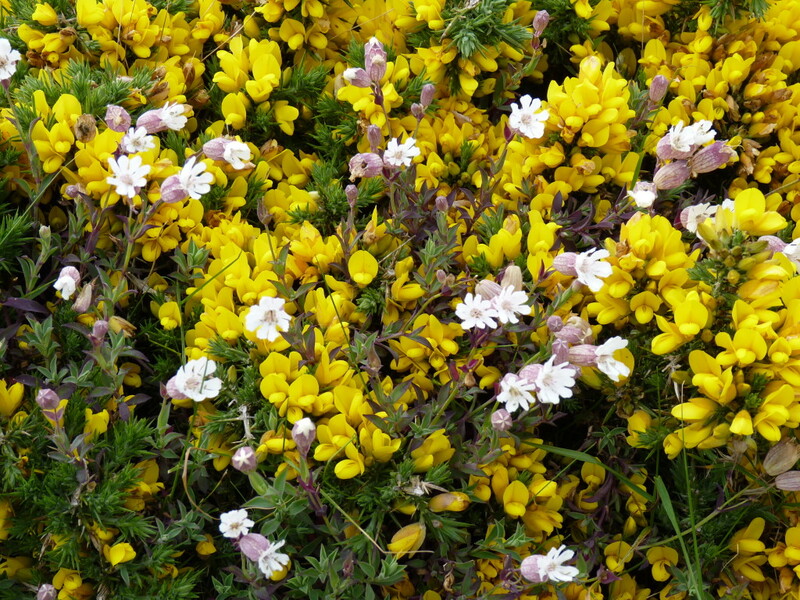 The cliffs were covered in swathes of pink sea thrift and yellow gorse bushes. I tried, unsuccessfully, to take photos of the butterflies too. Speckled wood butterflies were in abundance but proved too fluttery for me to capture with my camera! 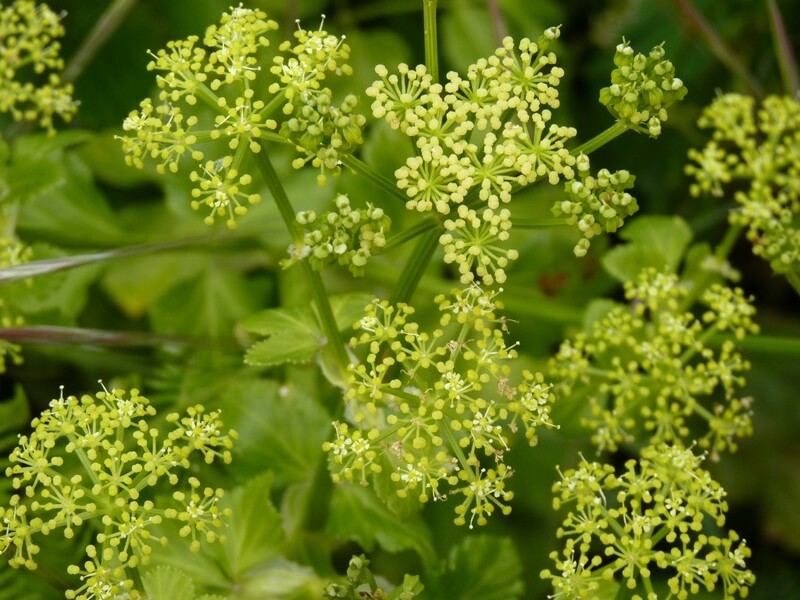 The verges alongside the roads are left to grow long in spring, benefitting the insects and birds. So different to the sterilised roadsides at home! 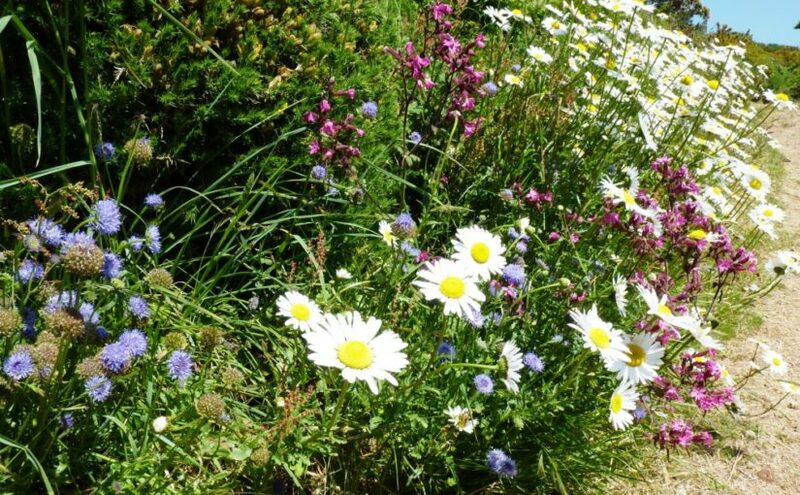 You can read more about our family walks in Guernsey and our day trip to the beautiful island of Herm; they’re a great opportunity to see many of these flowers.